While I am attempting to embrace the “Onepiece” mode this summer, you can never go wrong with a few of these cool skirts to give some edge to your wardrobe. 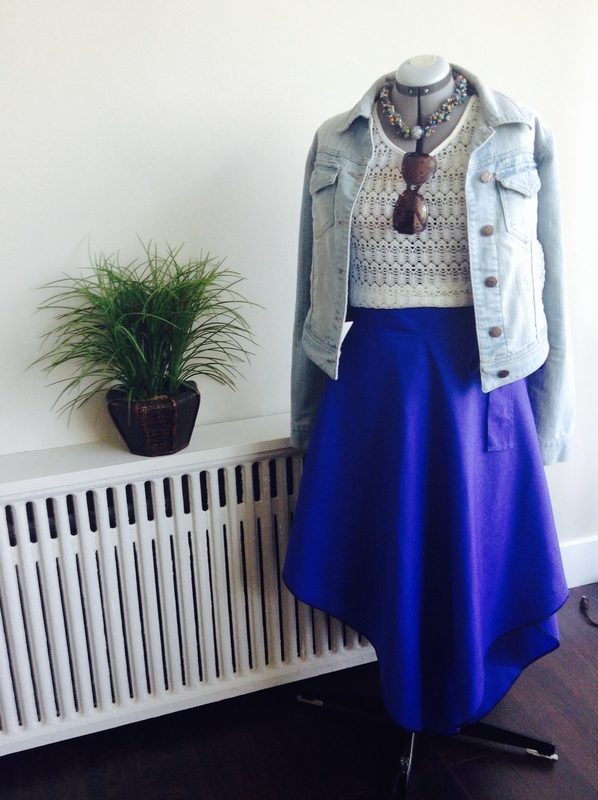 Paired with a tank, crop, T shirt and a jacket, you are good to transition from day to evening. 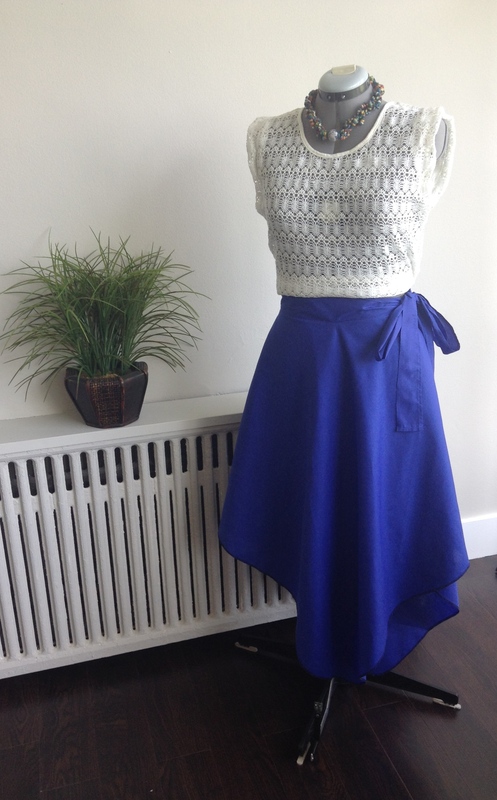 A wrap asymmetrical midi skirt! I will try these in a stretch knit and let you guys know how it goes.The one below was done in a Poly cotton. What do you think? Do you have any special style you are hoping to embrace this summer? Love to hear. The sewing chronicles are definitely continuing…. much more to share… stay tuned. Next postLess than 48 Hours Sewing victory: 1920s in 2015! Gorgeous! 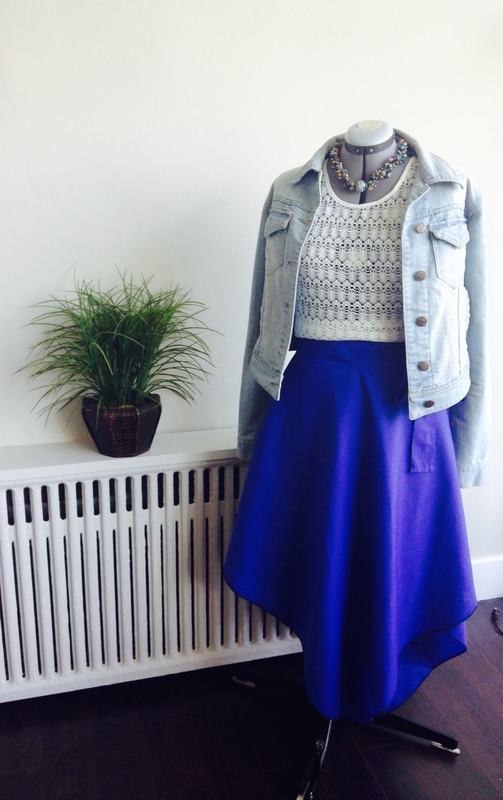 I especially love that you paired it with a cropped top–very on-trend!